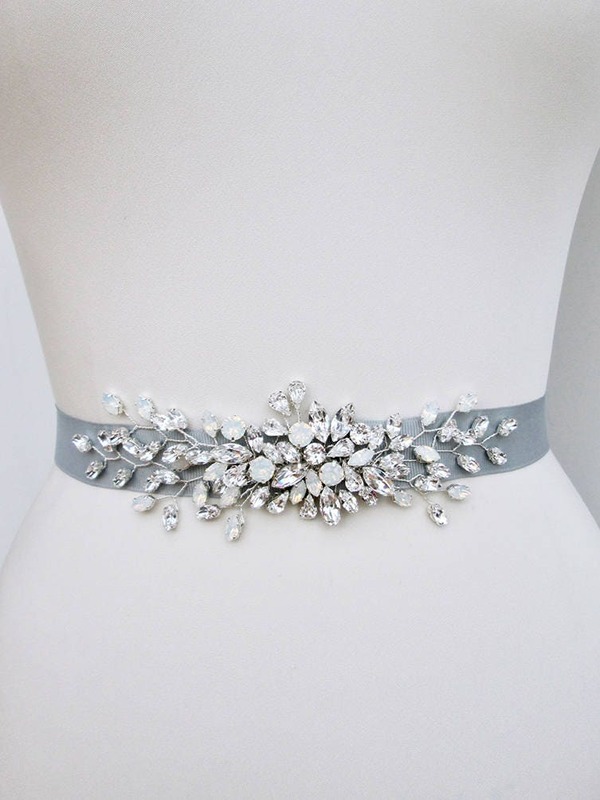 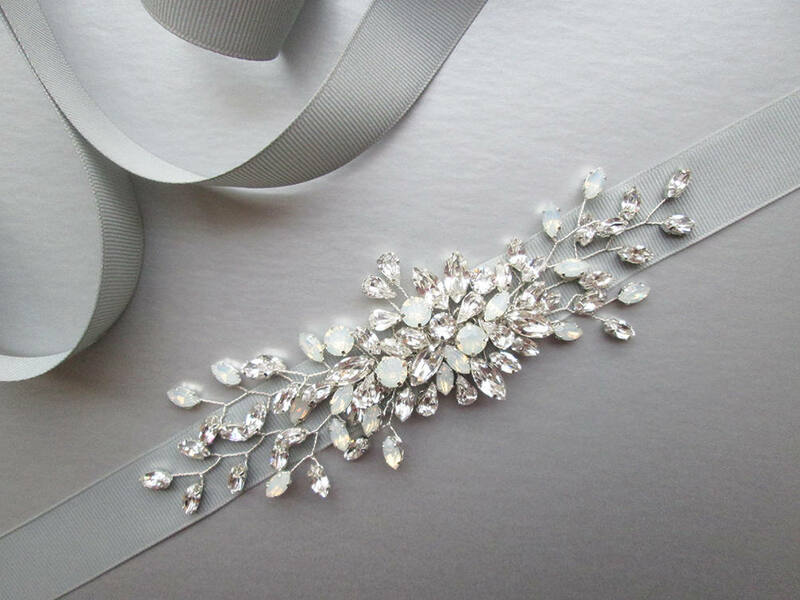 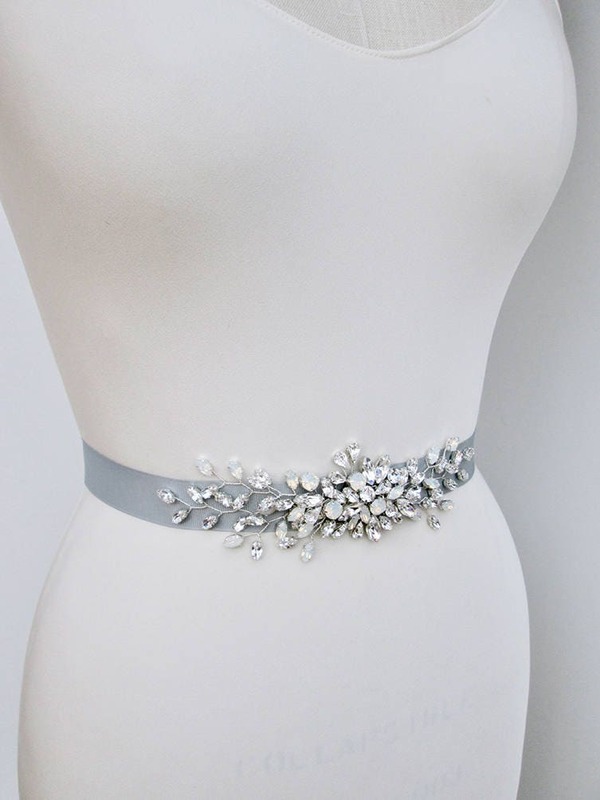 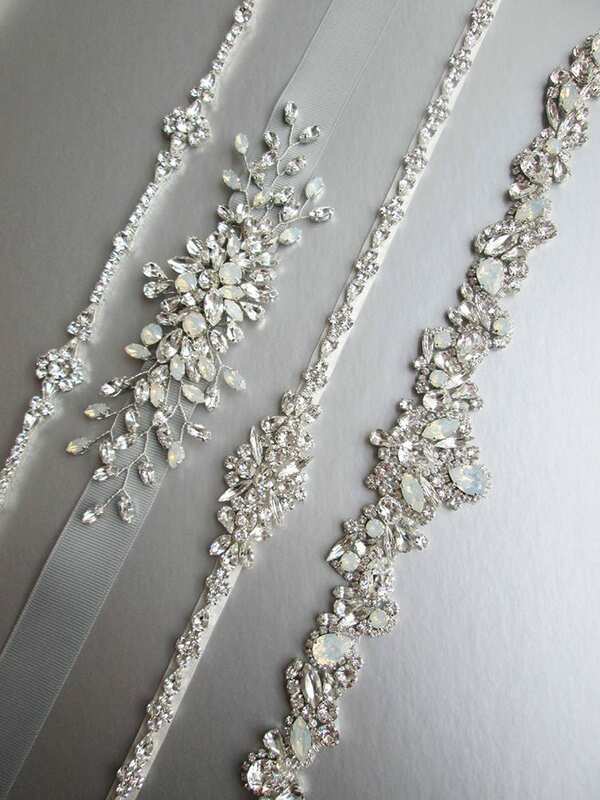 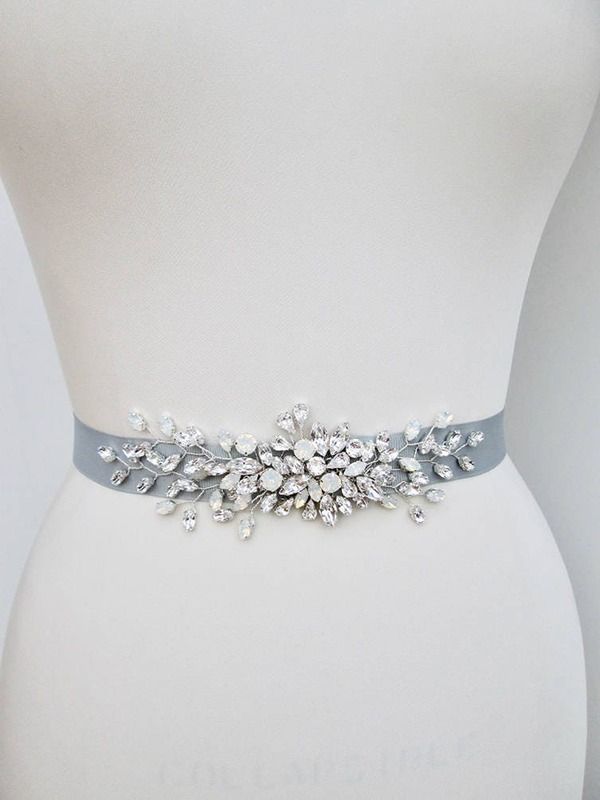 This romantic belt features Swarovski crystal design in opal and clear crystal mix. 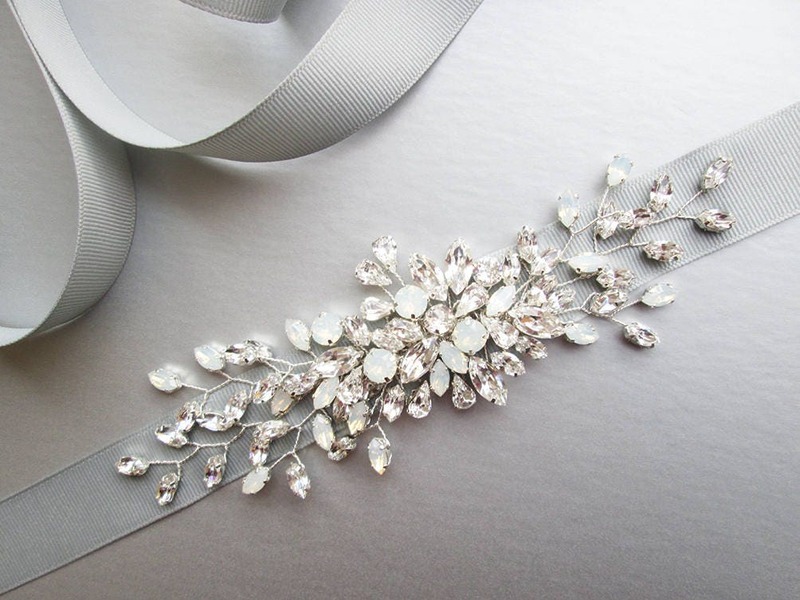 The crystal design measures 7" long and 1 1/2" wide. 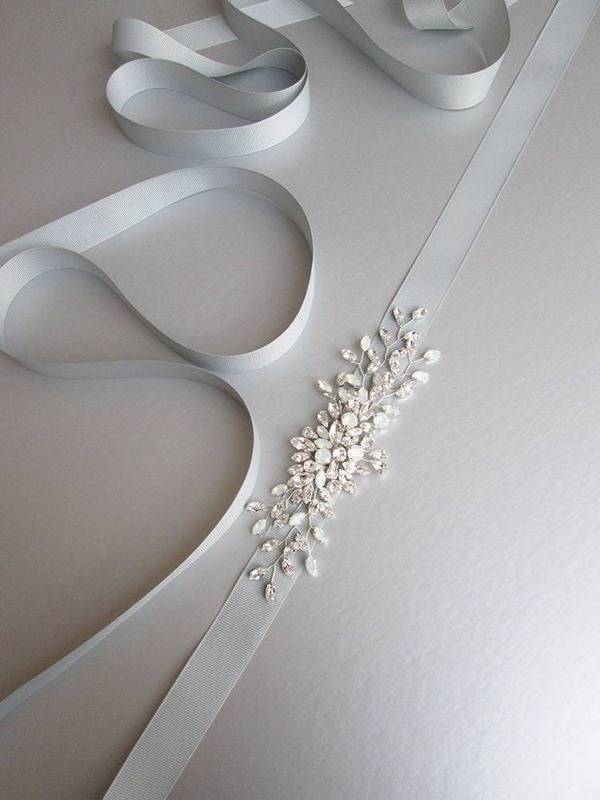 The grosgrain ribbon measures 1" wide and 150" long. 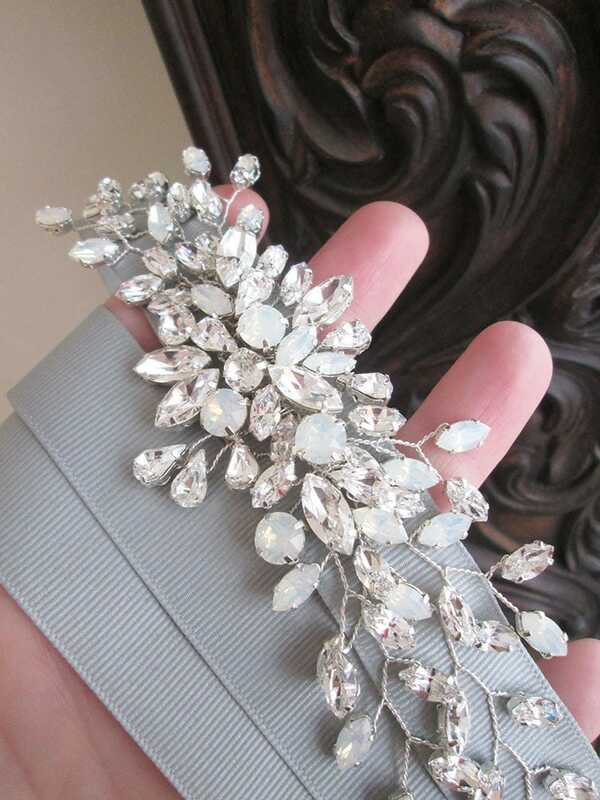 Available is gold, silver or rose gold finish. 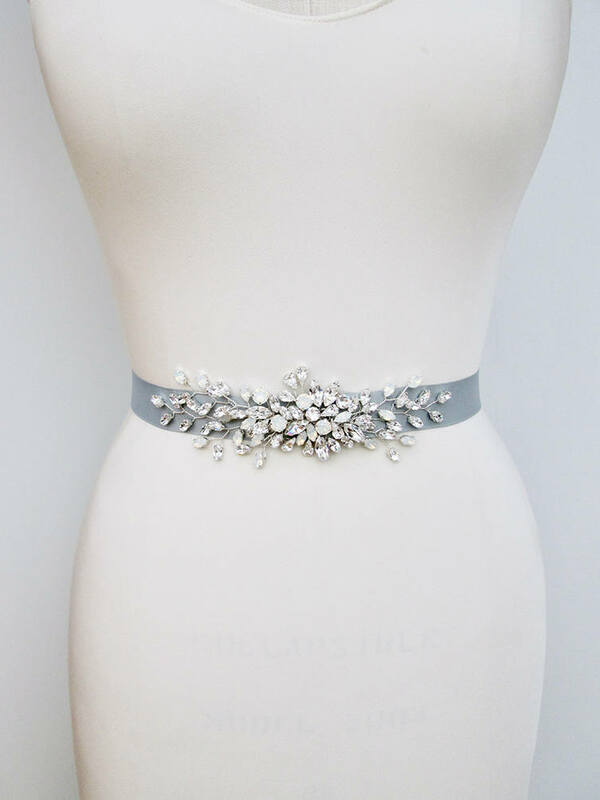 This belt is available with opal/clear crystal mix as well as all clear crystal. 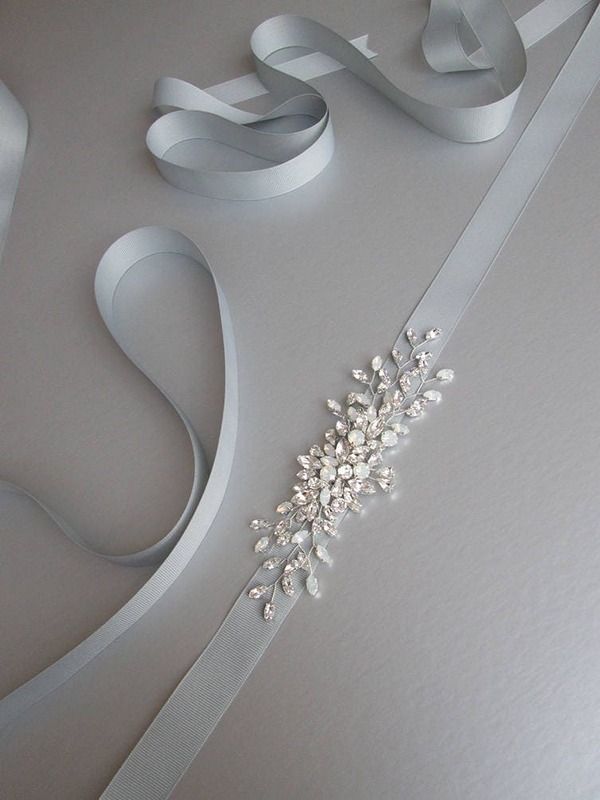 - Shown in the photos with silver grosgrain ribbon and in finish choice silver/opal/clear.